Since the School was established in 1881 its community has been deeply affected by conflict; members of staff and many students served in the Boer War and the two World Wars and the original buildings of the School, in the centre of Canterbury, were destroyed in the bombing of 1942. There are many members of our present community affected by international conflict; there are students and staff whose lives have been permanently displaced by warfare and they are unable to live in the countries of their birth; members of staff and students whose husbands, fathers and brothers have served in recent conflicts, some of whom gave their lives. Many students from the School have been casualties in various conflicts. Recent research shows that of the boys who attended the School between 1900 and 1914 virtually all served in the First World War. Over ten percent died on the battlefields. Our four School houses Burgess, Hardman, Mackenzie and Sharp are named after four of the boys who fell in the First World War. There is no attempt in the House system to glorify warfare. Rather, by permanently remembering these boys, there is an opportunity to reflect on the tragedy of the loss of life brought about by warfare. Indeed, we feel profoundly that we do not have the right to forget their lives and the tragic ends to which they came. They bore the weight of their time too heavily. The four boys represented much that we value in the School; all were bright and Archie Hardman, who was also Head Boy, is said to have been a boy of extraordinary intellectual gifts. 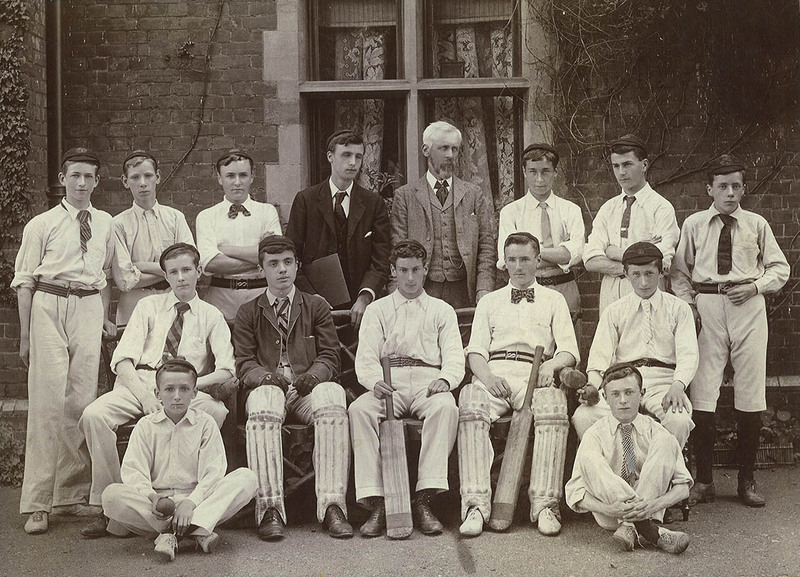 They were all good sportsmen; Eric Sharp, the Headmaster’s only son, was an outstanding athlete and William ‘Budge’ Burgess is thought by many to have been the finest sportsman ever to attend the Langton. ‘Mac’ Mackenzie was regarded as one of the finest young officers on the Western Front. All were noted for their leadership at School, in their professional lives and whilst serving. And all were noted for their integrity and honour. In short, everything we expect and hope for from our current young men and women.